Omicho Ichiba is a lively covered food market which has been in operation since 1721. 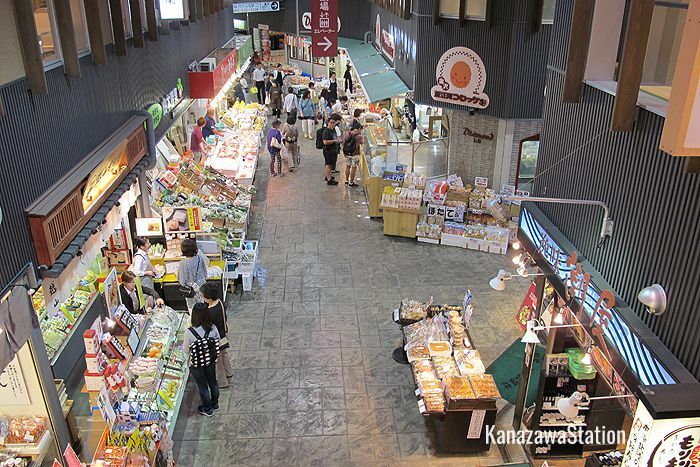 Nicknamed “Kanazawa’s kitchen”, here you will find 186 different stores, selling seafood, fresh fruit and vegetables, and confectionery. There are also a number of grocery stores, clothing stores, flowers stalls, and restaurants. 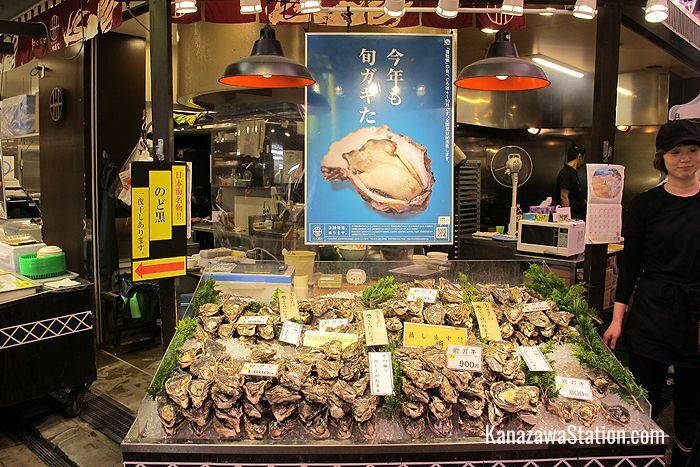 The market has a very cheerful atmosphere and is a great place to explore Kanazawa’s food and drink culture. 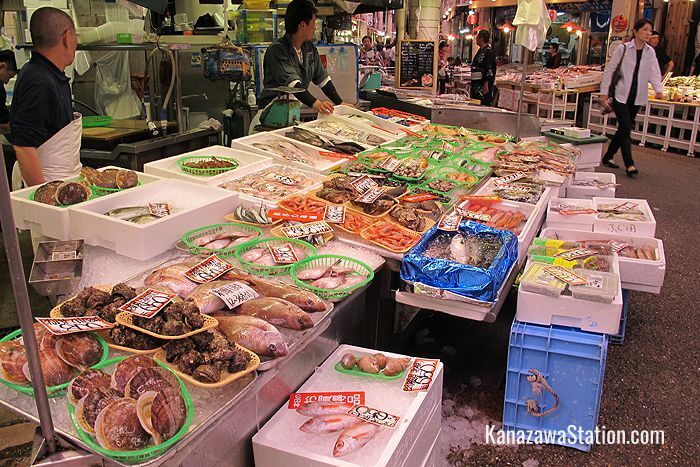 As Kanazawa is situated on the Japan Sea coast it is famous for its seafood. A stroll through Omicho Ichiba will give you an idea of the incredible and colorful variety of marine products available in this town. Crab, shrimp, and yellowtail amberjack are particularly known for their quality, but look out for edible seaweed too. Strips of sweet wakame seaweed are commonly used to flavor soups, and stringy mozuku seaweed is served in vinegar. Both are renowned for their health benefits! Many stalls have food samples you can taste, and others sell snacks you can eat as you walk around, with fresh oysters fried, broiled, or eaten raw being an especially tasty treat. 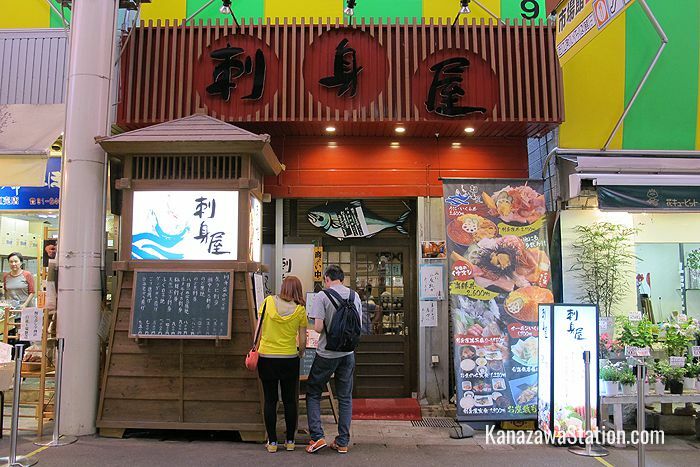 No trip to Omicho Ichiba is complete without stopping at one of the many restaurants and enjoying a bowl of kaisendon, or sashimi style raw fish on a hot bowl of rice. Though the 2nd floor of the market has a special restaurant section, all the best kasiendo places are on the 1st floor. There are many popular restaurants here, but searching for one in the market’s maze of alleyways will only leave you frustrated. Better to put your map away, and if you find a friendly looking restaurant with empty seats and reasonable prices just go in. You won’t be disappointed. 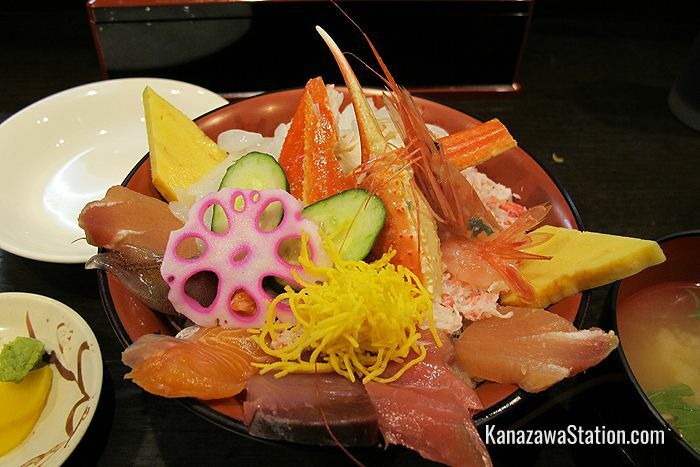 In addition to seafood, Kanazawa is known for its sweet rice which is nourished by frequent rainfall and natural mineral waters. It’s no surprise then that the town also has three very well established sake (rice wine) breweries: Fukumitsuya, Yachiya and Nakamura Shuzou. 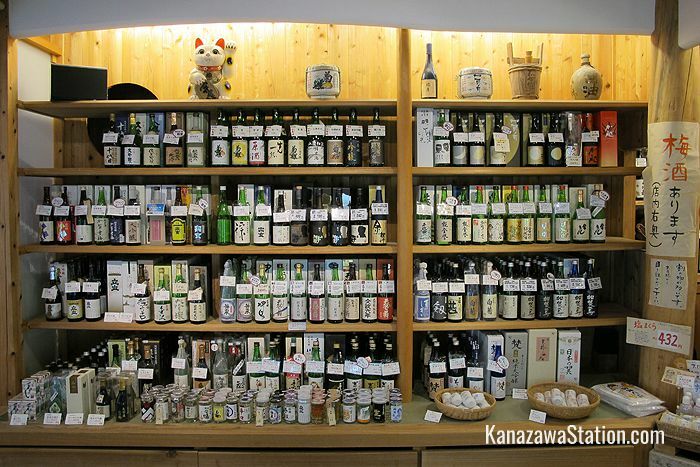 You can find these and other brands of sake from around Ishikawa Prefecture at Sake no Ohzawa Jizake Ichiba. 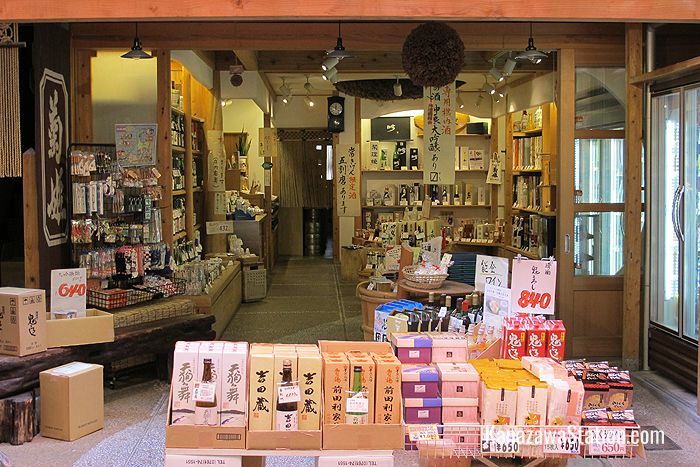 This is a 100-year-old shop in Omicho Market which boasts the best range of local sake and it has a nice range of local craft beers too. Ask the staff for their latest seasonal recommendations. 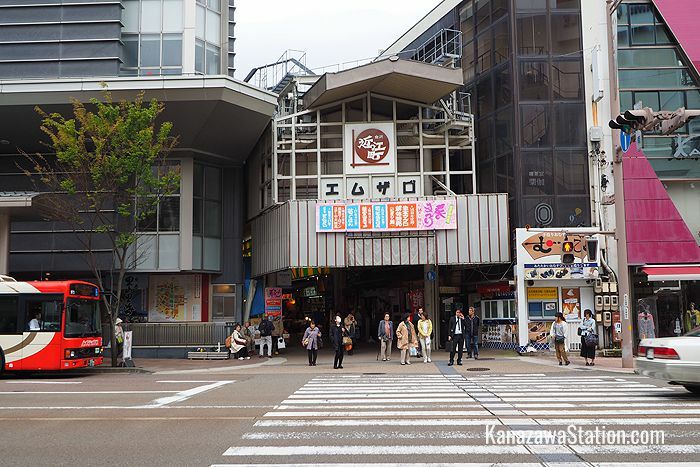 Omicho Ichiba market is a 15 minute walk from Kanazawa Station. You can also take the Loop Bus there for 200 yen and be there in 5 minutes. Get off at Musashigatusji bus stop.